President Emmerson Mnangagwa kick-starts his 2019 engagement and reengagement and economic diplomacy offensive with visits to four European countries next week and the Davos World Economic Forum meeting in Switzerland. The first part of the visits is in Eastern Europe. The first stop of the visit will be Russia, a long-time ally that has stood firm with Zimbabwe with cooperation already established in the platinum and gold mining sectors. The Russian Foreign Minister Sergei Lavrov visited the Darwendale Platinum Project in March last year after the new dispensation to solidify the already excellent relations between Zimbabwe and the Russian Federation. Foreign Affairs and International Trade Permanent Secretary Ambassador James Manzou said the highlight of the President's visit to the Russian Federation will be talking with his counterpart Mr Vladimir Putin. Zimbabwe wants to increase exports to Russia and is currently exporting citrus fruits, flowers, and tobacco while importing machinery and aircraft spare parts and other goods from Russia. Zimbabwe is also keen to promote tourism with Russia and the European country has been sponsoring Zimbabwean students at various universities. The President's second stop will be Belarus where the private sector and government have signed several MOUs in the areas of mining, agriculture and science and technology. Belarus is also supplying mining technology to Hwange Colliery and the Chiadzwa diamond mining and is a giant in producing agricultural equipment and other machinery. The President's intended visits to Kazakhstan and Azerbaijan are new frontiers which share the same landlocked status with Zimbabwe and are doing well in their economies while Azerbaijan is rich in oil and is a specialist in energy production. 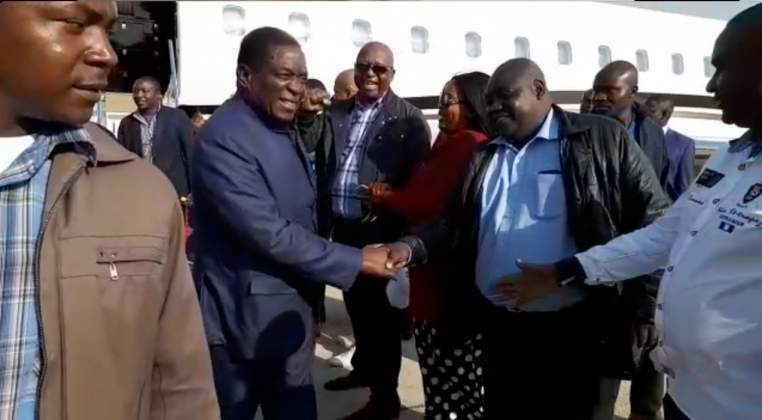 From the tour of Eastern Europe, President Mnangagwa proceeds to Davos where Zimbabwe has been invited once again.